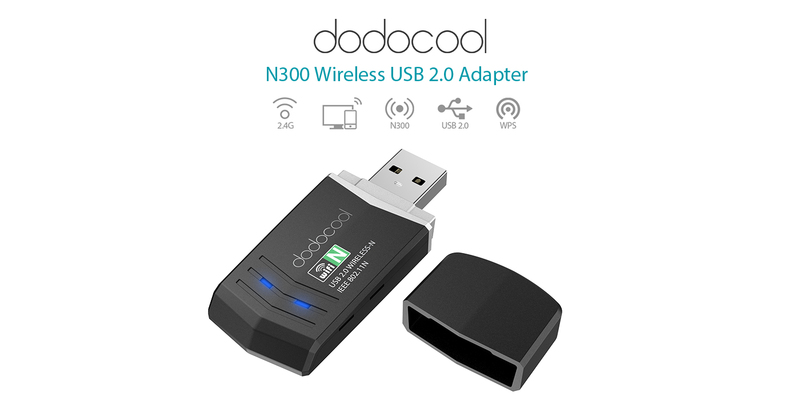 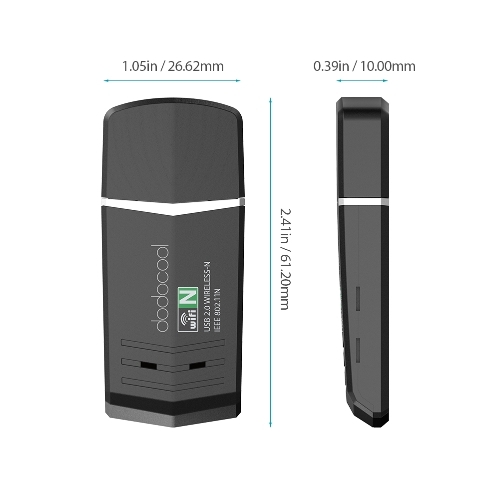 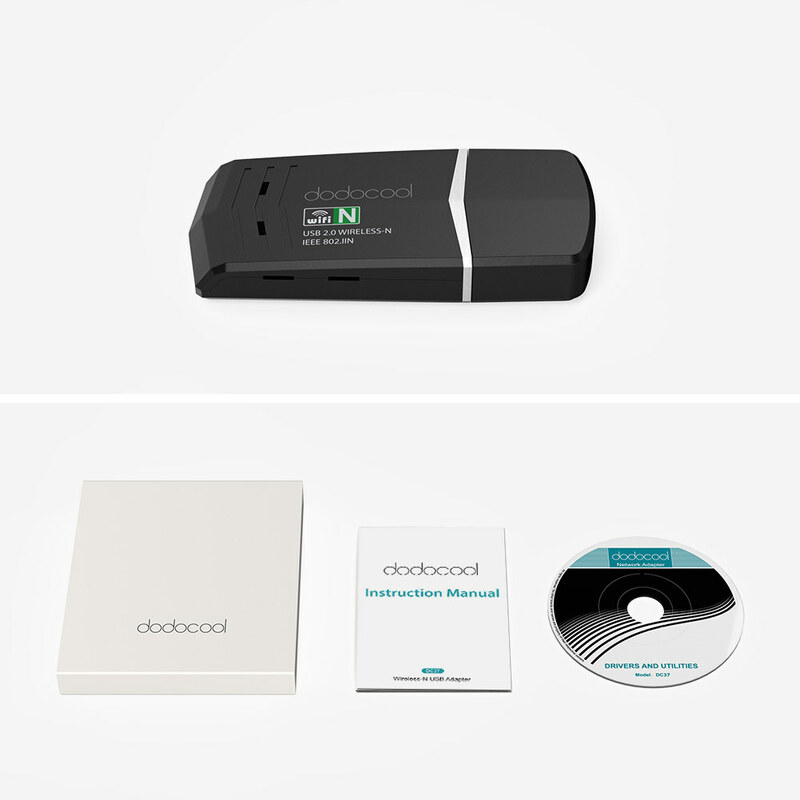 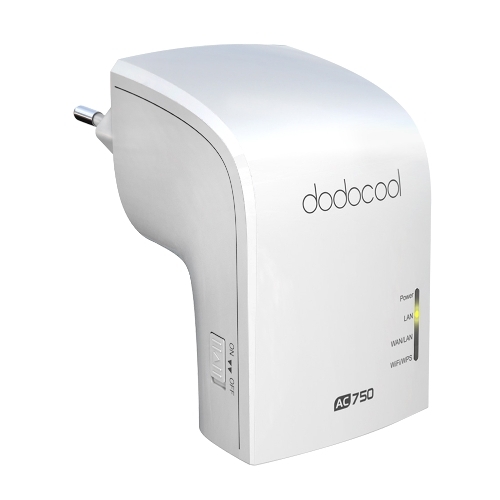 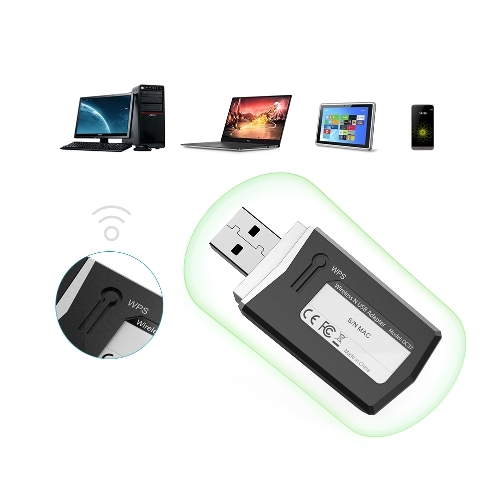 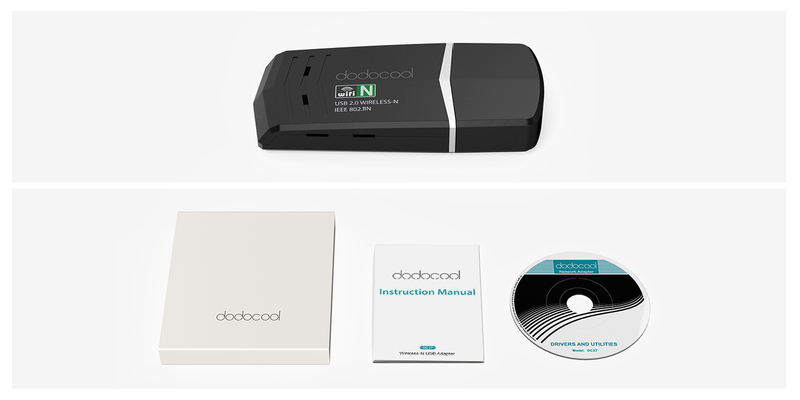 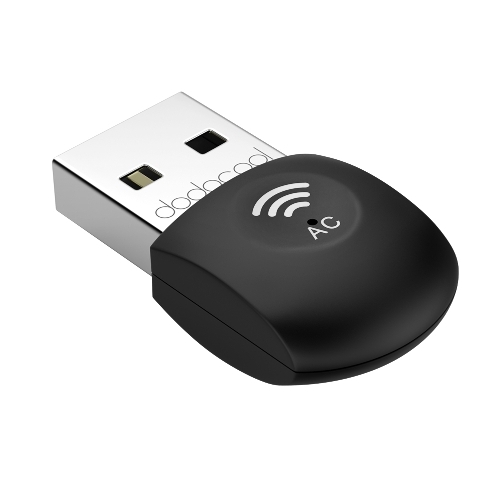 dodocool Wireless-N USB Adapter connects your laptop or desktop computer to an existing wireless network or upgrade an existing network to an 802.11n network via the USB 2.0 connector. 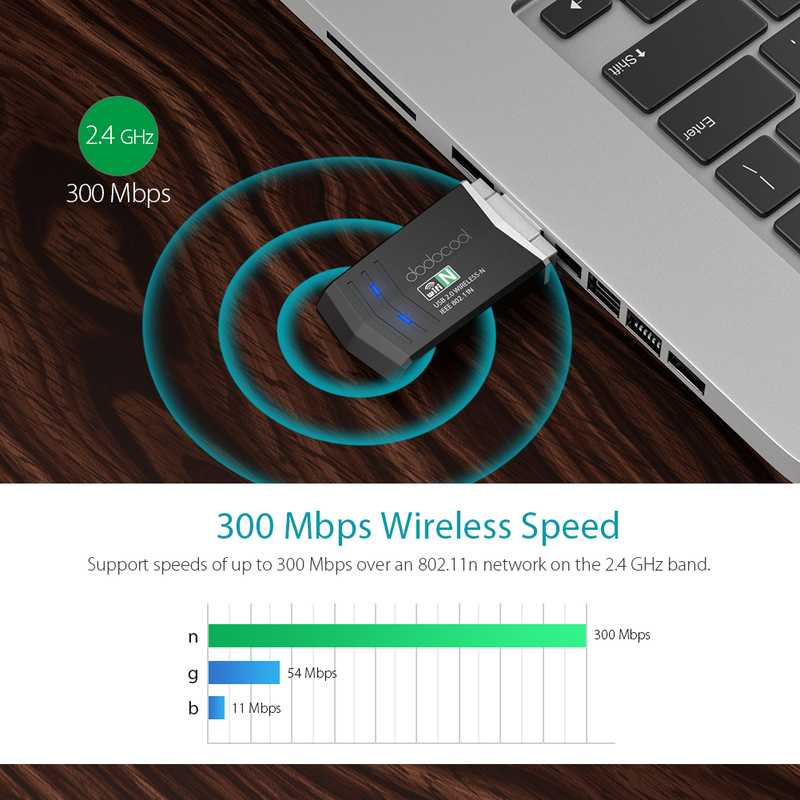 It enables you to enjoy wireless speeds of up to 300 Mbps over the 2.4 GHz frequency band, secure Web surfing, faster file transfers, enhanced audio streaming, and greater wireless coverage. 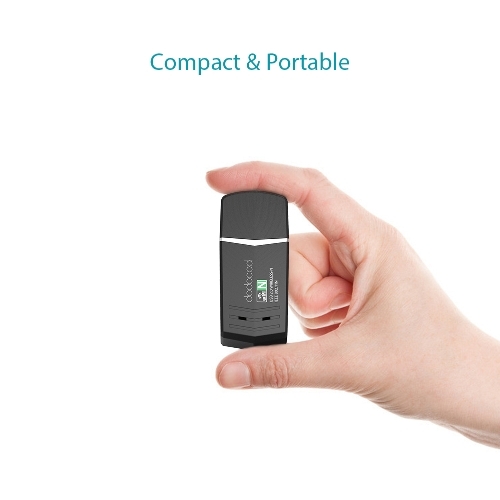 It is ultra small, compact, lightweight and portable. 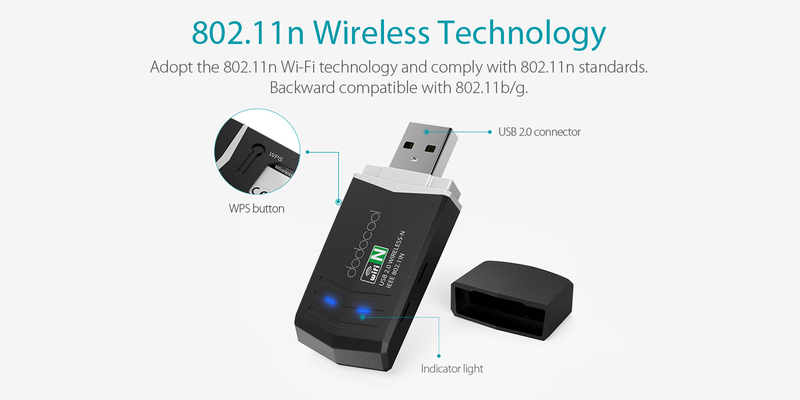 Adopt the 802.11n Wi-Fi technology and comply with 802.11n standards. 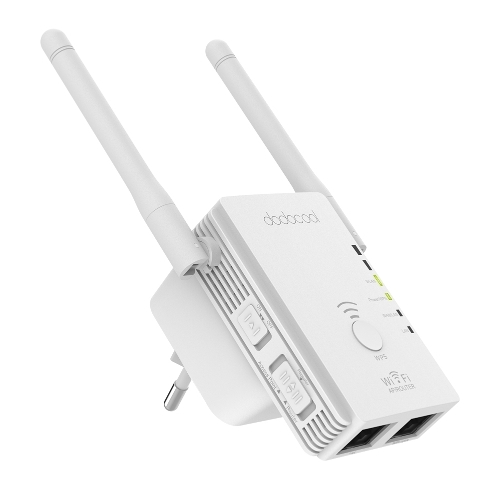 Backward compatible with 802.11b/g. 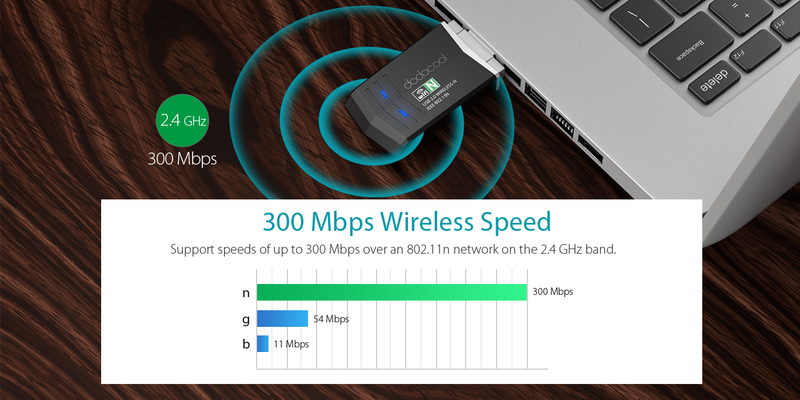 Support speeds of up to 300 Mbps over an 802.11n network on the 2.4 GHz band. Perfect for uninterrupted HD video streaming, lag-free online gaming, emailing, surfing the Web and more. 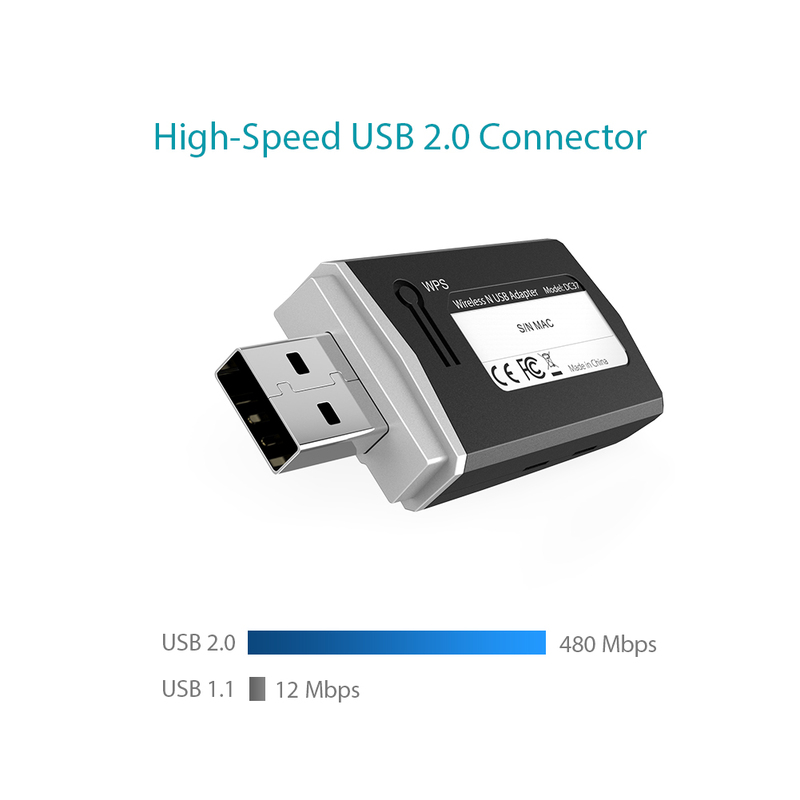 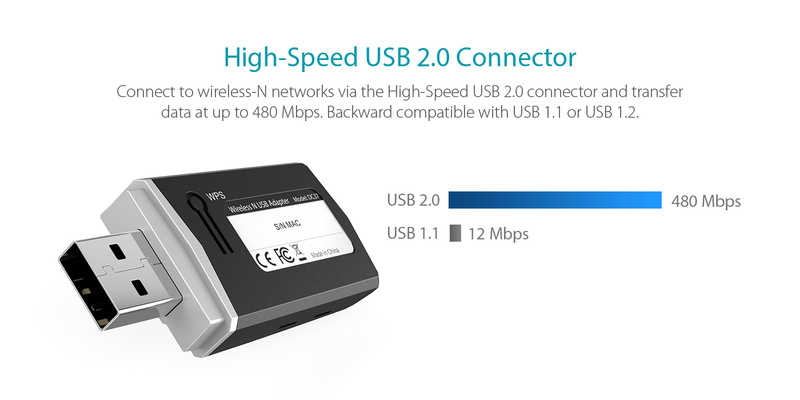 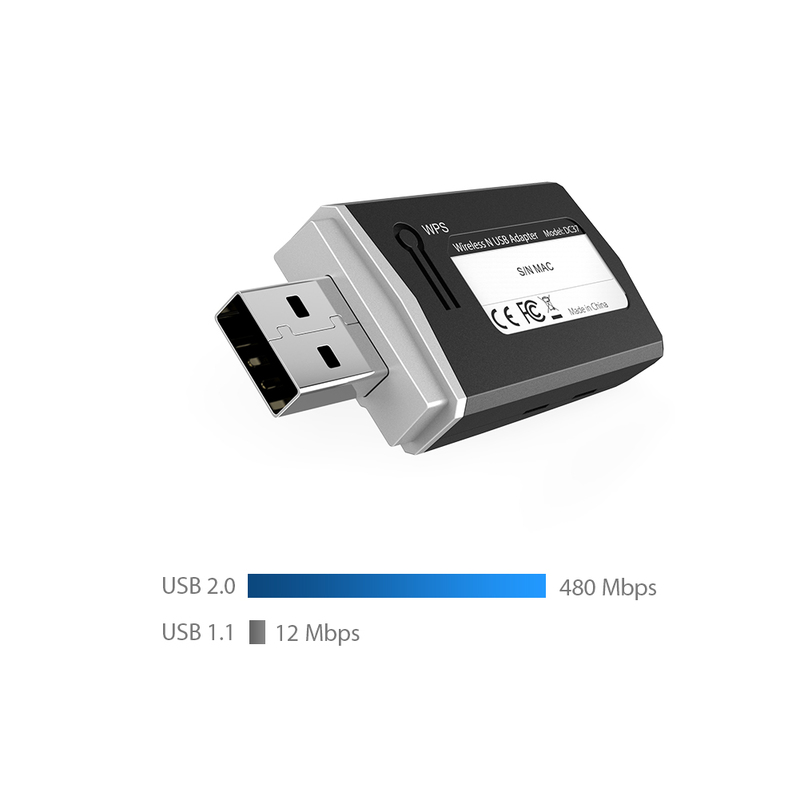 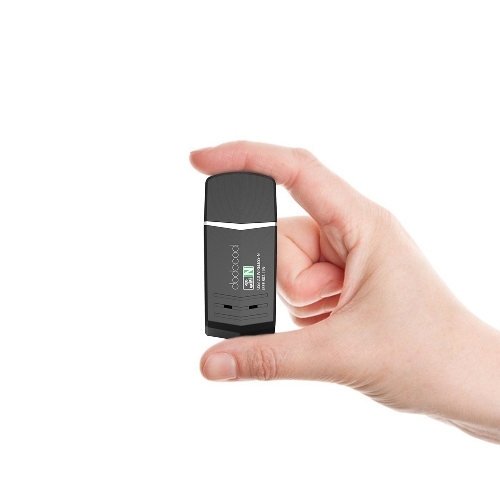 Connect to wireless-N networks via the High-Speed USB 2.0 connector and transfer data at up to 480 Mbps. 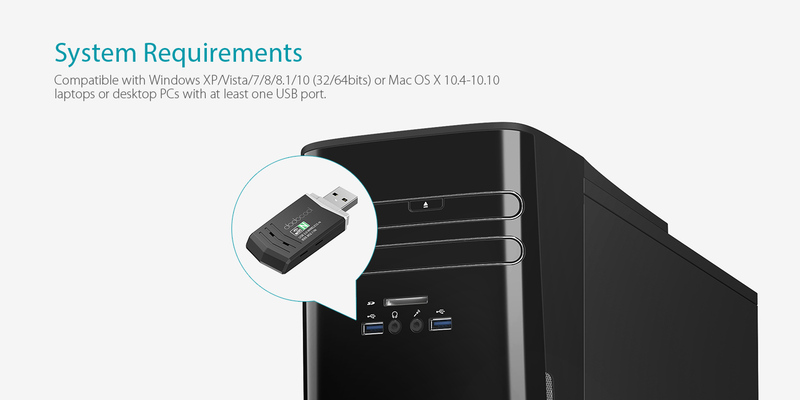 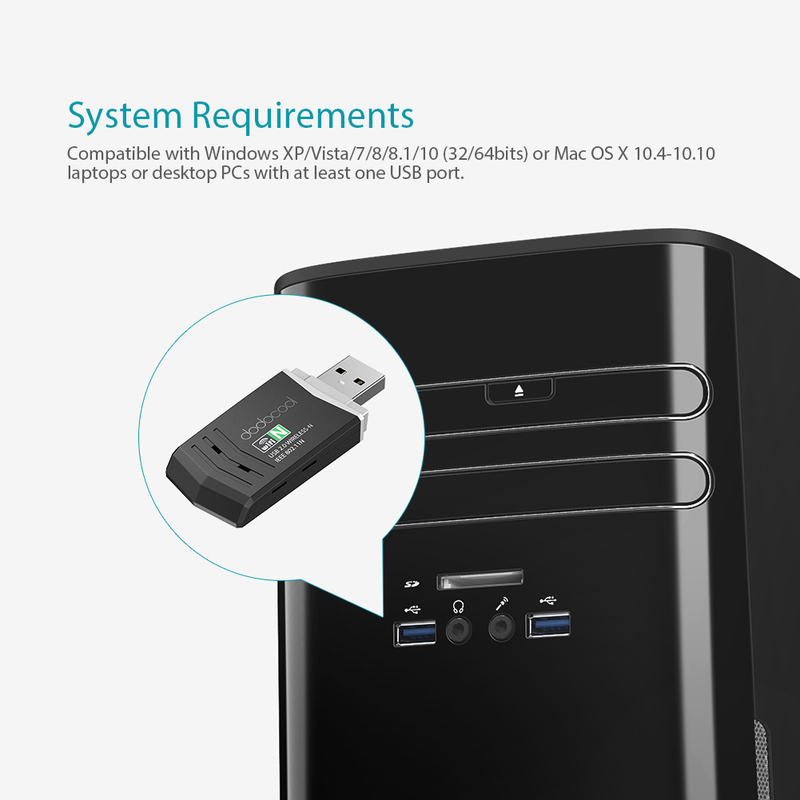 Backward compatible with USB 1.2 or USB 1.1. 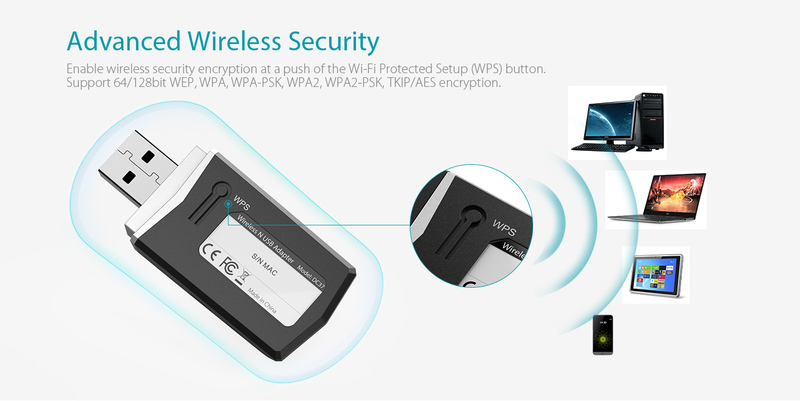 Enable wireless security encryption at a push of the Wi-Fi Protected Setup (WPS) button. 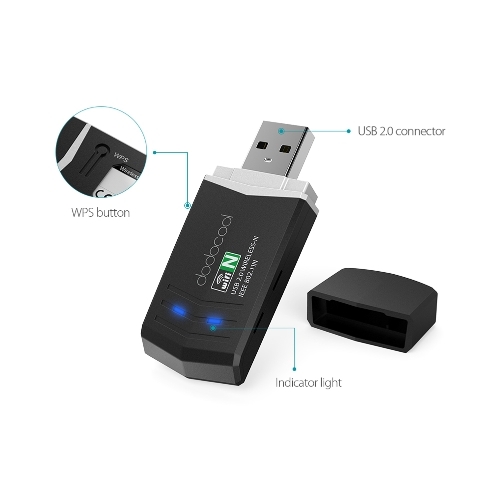 Support 64/128bit WEP, WPA, WPA-PSK, WPA2, WPA2-PSK, TKIP/AES encryption, protecting your data from unauthorized access and malicious attacks. Simply insert the setup CD and install the driver, and then plug the adapter into a USB port on your computer. 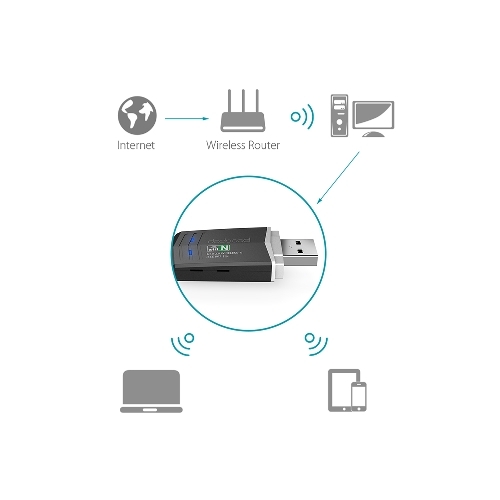 With the Soft AP function, you can create a Wi-Fi hotspot for mobile devices and share your Internet access. 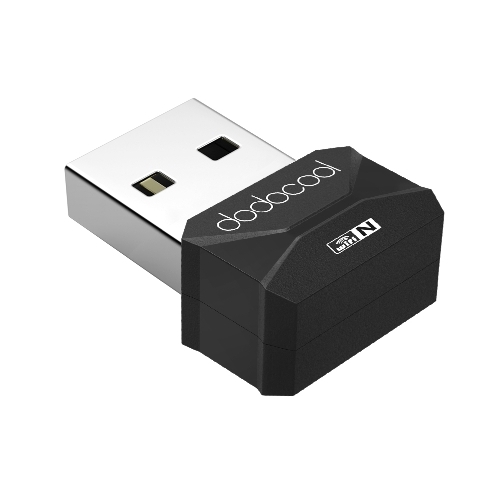 Compatible with Windows XP/Vista/7/8/8.1/10 (32/64bits) or Mac OS X 10.4-10.10 laptops or desktop PCs with at least one USB port. 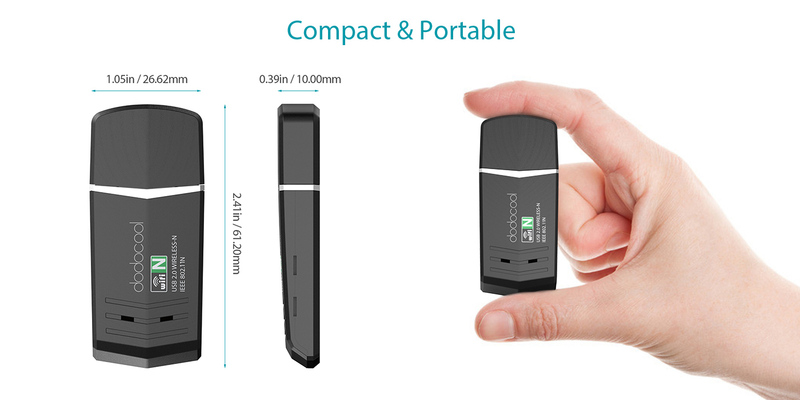 Small, lightweight, compact and easy to carry. You can leave it connected to your computer or take it on the go. 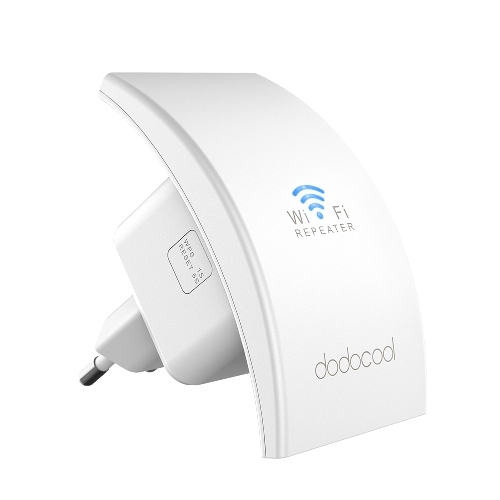 * Maximum performance, actual data rates, and coverage will vary based on network conditions and environmental factors.